Hello dear readers! 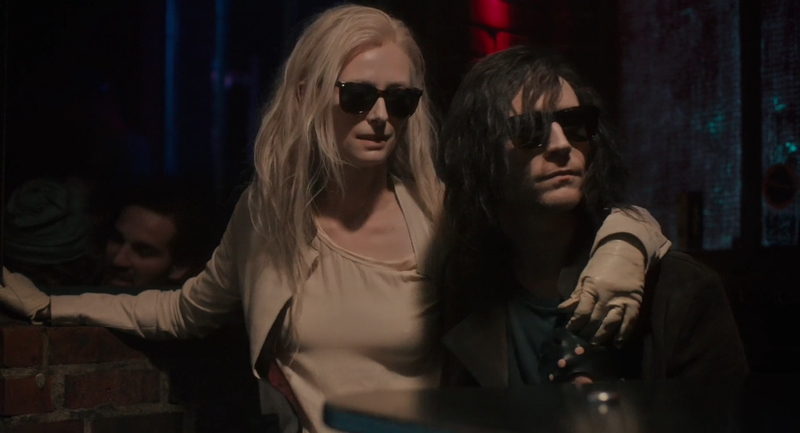 Over the next few days I wanted to share with you a new series of articles on Jim Jarmusch’s superb film Only Lovers Left Alive (2013), in an attempt to locate Jarmusch’s use of the gothic in the urban ruins of the film’s setting, the city of Detroit. This is the second of four such articles, all of which have been adapted from a piece of academic writing submitted for grading to my University. I hope you all enjoy reading this as much as I enjoyed writing it. And by all means, please comment if you wish to debate any points – I encourage discussion! Jarmusch’s gothic Detroit goes hand-in-hand with the film’s gothic rebirth of classic American music. Detroit culturally might be in a post-apocalypse, but there is proven to be in both Mark Binelli’s book The Last Days of Detroit and Jarmusch’s film a thriving music scene. 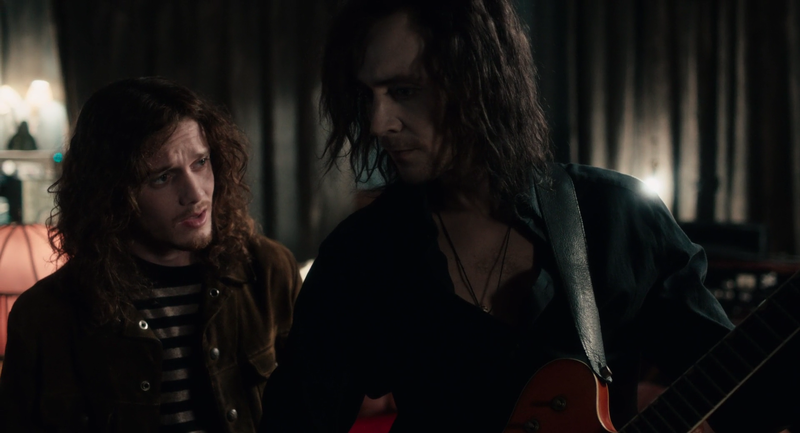 This scene heralds back to the days of Motown and classic American rock n roll, and the opening of Only Lovers Left Alive captures this brilliantly with no dialogue whatsoever. The opening shot is that of stars in the night sky. The camera begins to rotate hypnotically in a cyclical fashion, and the feedback driven score composed by Jarmusch’s band SQÜRL and Jozef Van Wissem plays in the background. The sound then shifts to a record being placed on a record player – and SQÜRL’s cover of Wanda Jackson’s classic “Funnel of Love” begins to reverberate. The screen shifts to the record playing (the actual single from Wanda Jackson) in a top down fashion, with the record rotating (mirroring the rotation of the stars). Then there are crosscuts of Adam, in his house in Detroit, clasping a mandolin across his bare chest, and Eve, in Tangier, wearing a flowing gown and surrounded by heaps of books. The camera continues to rotate, mimicking the rotation of the record, as the camera zooms in on Adam and Eve. The rotating single is also cross cut in this hypnotic montage. Choosing to open the film with a shot of the stars evokes the idea of the eternal. Linking this shot through the use of rotation with Adam, Eve, and the record, suggests an intimate link between this classic American song, the love that Adam and Eve share, and this concept of eternity. Furthermore, by surrounding Adam with records and his mandolin, and Eve with stacks of old books, Jarmusch defines the two as creatures of culture, in stark contrast with the gothic crypts and blood-soaked ruins of Dracula. Their surroundings are warm and comfortable; these are not vampires as we have seen them before, and this links in perfectly with the cover of “Funnel of Love”. The film is prefaced with this classic American song, which is a unique mix of blues, country, and rock and roll. In many ways it can be considered representative of early 1960s classic American rock music. However, by slowing down the song to double it’s original length, adding lots of feedback guitars that clash and groan, and the almost oriental sound of the lead guitar (not to mention Madeline Vollin’s piercing vocals), Jarmusch lends the song a new gothic atmosphere. It is a redefinition of this classic American music, remaking and shifting it into the post-apocalypse. It is Jarmusch’s thesis in many ways, if the film could be considered an essay; the song is at once both modern and ancient, a thing of the past and a thing of the future. ADAM: Oh, that’s a lovely Gretsch Chet Atkins. 61-20. Double cutaway. I once saw Eddie Cochran play one of these. He had the front pickup modified to the Gibson P-90. IAN: Wait, you actually saw Eddie Cochran play? IAN: Oh, right, course man! It can be assumed that Adam did actually see Eddie Cochran play live, as you can assume from his inflection in his second line above that he’s covering up the mortal impossibility. However, Jarmusch also draws a line between seeing these American icons live and seeing them perform on YouTube- watching them on YouTube is appropriately modern gothic, in that you’re literally seeing someone who is dead perform their song – ghosts, if you will. The energy contained in these live performances cannot be captured by video. This thus requires a more modern spin on these classic songs and patterns to update them for this artistic rebirth, and Adam and Eve both point towards the gothic as this re-invention. Re-invent the music by recognising its ancientness. Adam literalises this when he names one of his new guitars William Lawes, after the composer whom he claims wrote some great funeral music. However, this itself presents a new distinct problem, which is highlighted when Adam, Eve, Eve’s sister Ava, and Ian go to the gothic rock club. They watch the band White Hills perform their gothic rock music – lots of feedback, lots of chaos – but when framing this with Adam and Eve watching, who look effortlessly cool with their sunglasses and Adam’s black, Eve’s white contrast, they look like pretenders. The band look like a cheap knockoff of Alice Cooper meets Bauhaus. Because the gothic is so much more than a literature or a music movement, because it is a style that everyone is familiar with, when presenting a faux-gothic rock band next to the actual gothic of the vampire, it falls incredibly flat. Any potential Detroit arts renaissance remains in its earliest phase of development, more about insane real estate opportunities and the romantic vision of a crumbling heartland Berlin – basically, vicarious wish fulfilment by coastal arts types living in long-gentrified cities – than an overarching home-grown aesthetic. The rise of a new infrastructure catering to the incoming ‘creatives’ in neighborhoods like Midtown and Corktown, such as the planned Whole Foods, had an undeniable tangibility. 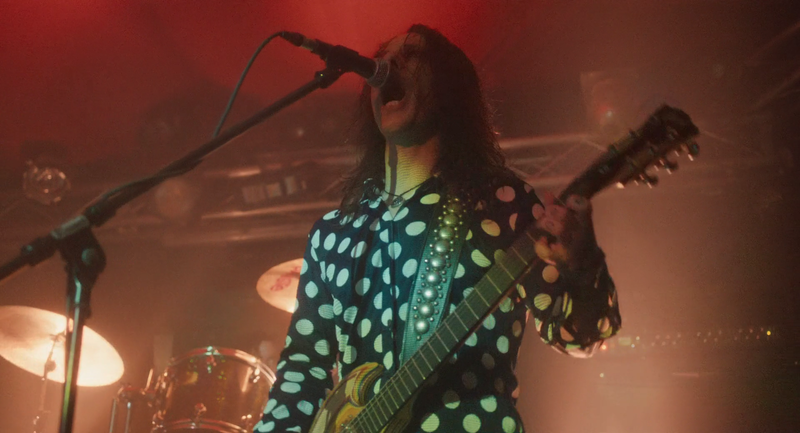 Whilst Adam and the other rockers shown in the film may be making enjoyable experimental music, what exactly makes it original to Detroit? “Funnel of Love” was recorded in Nashville, with the gothic rock influence noticeable from UK bands such as Bauhaus. Is the music original to Detroit because of the collapse of Detroit? Or is it not because the two primary influences on this music are not from Detroit? Once Jarmusch shifts the narrative of Tangier, these answers will be provided to an extent. Binelli, Mark. The Last Days of Detroit: Motor Cars, Motown and the Collapse of an Industrial Giant. London: Vintage, 2014. Print. Page 265.